Today's brow tutorial uses the shade "Chloé" - a color slightly darker than "Bella" yet still ideal for creating a soft, warm and delicate effect. Keep reading to find out more about this brow shade and how to use it to achieve beautiful brows! 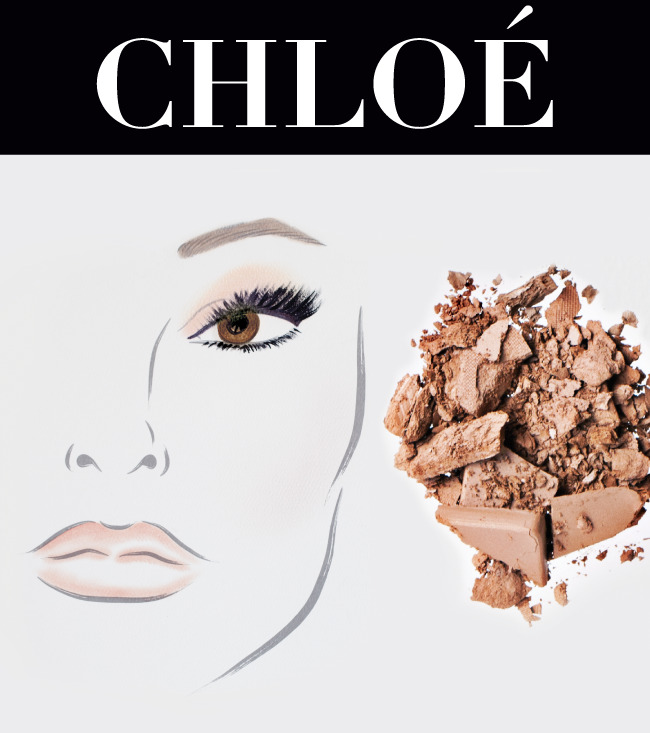 Chloé is the shade to go for if you're looking to give brows a touch of warmth and provide a softened appearance. This is the natural choice of color for those with strawberry blonde or auburn-hued hair but can be used by virtually any haircolor. 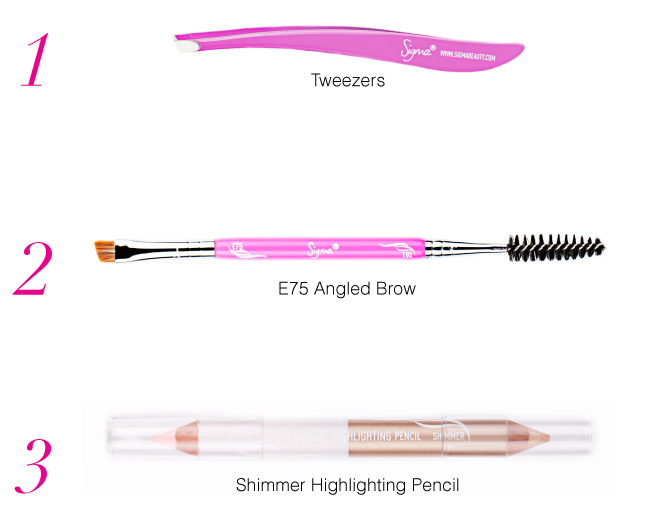 Get the pictured look shown above by following these three simple steps with your brow tools! 1. Use a brow stencil to mark out the desired shape of your brows, making sure to tweeze any stray hairs to clean up the brow's arch. 2. From there, fill in brows with the Chloé brow powder using the E75 angled brow brush in your kit. 3. Finish the look by blending the shimmer highlight pencil onto brow bone for a subtle glow. What's been your favorite shade so far in our brow series? Visit the blog again on Monday for the dark and sultry Valentina tutorial! wow...really nice . .I love your thing. thanks. Will it be possible to buy individually the products in this kit, afterward? Thanks. Unfortunately not at this time; we will pass the suggestion along to our prouct development team. You can, however, buy larger versions of the dual-ended brush from the kit.